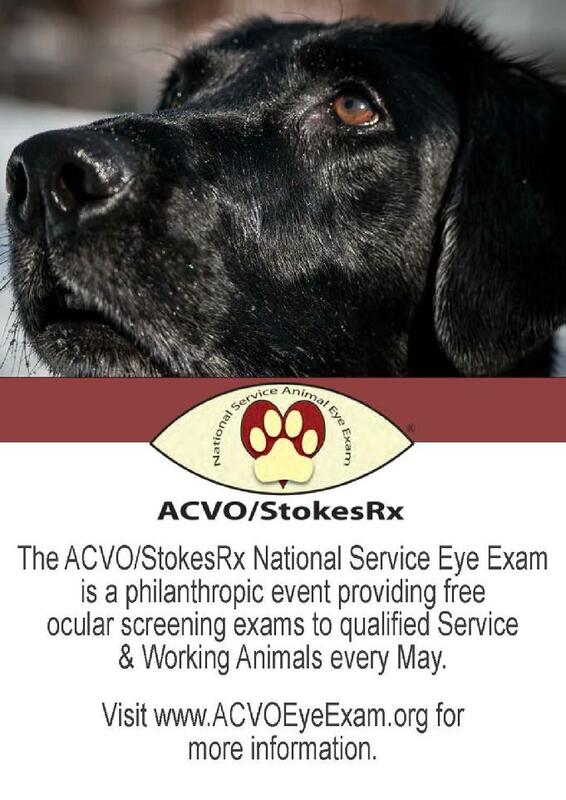 Upcoming Events: ACVO/Stokes Service Dog exam month will be held the entire month of May. Regristration begins April 1st and will close on April 30th. Appointments are limited, so register at www.acvoeyeexam.org early! Once you have registered your service animal, call our office for an appointment. Free exams are limited to formally trained working animals.